Unikko Turns 50!!! | Life in Paris with a limited wardrobe. ← A 50lb Wardrobe is Featured on Marimekko! 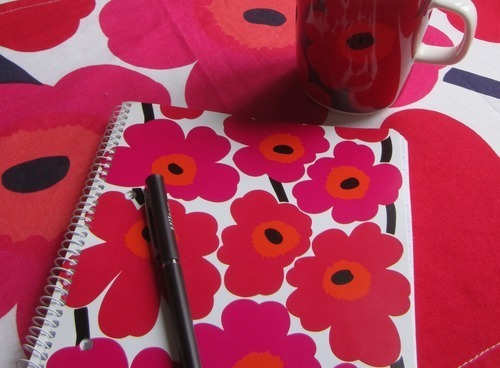 Unikko or poppy (Uni meaning dream and kko… well that’s as far as I can go with Finnish!) 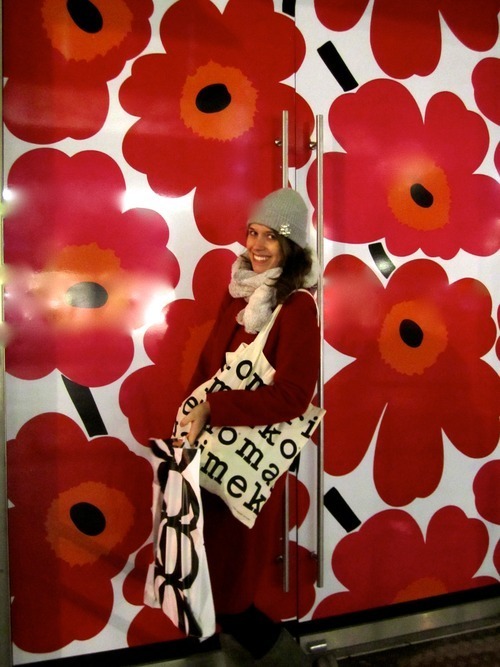 If you follow me on Instagram or have visited chez moi, you know I love Marimekko Unikko! I am so excited for their 50th anniversary special edition kitchen items! This bright yellow and red centered poppy, had me drooling this January when I visited Finland for the Christmas holidays! The Unikko pattern is Marimekko’s most iconic design and actually was a form of rebellion after Armi Ratia announced that Marimekko would not manufacture floral prints. In 1964 Maija Isola designed Unikko as a protest against Ratia’s statement. The result were the bold and fun poppy flowers. Unikko is the most recognizable symbol of Marimekko. New colors are created every year, by her daughter, Kristina Isola. This entry was tagged marimekko, unikko. Bookmark the permalink.